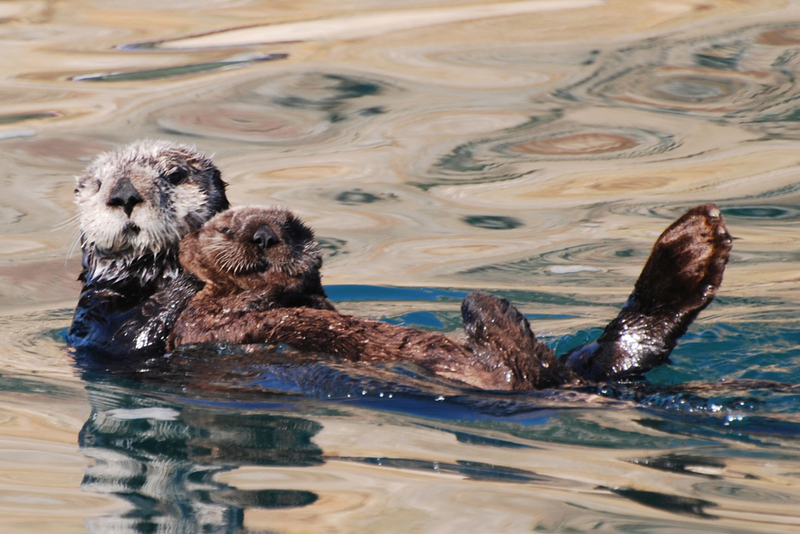 Along California’s 840 miles of coastline, you can view a wonderful array of marine mammals. And the sightings recently have been unprecedented, from what might be the largest pod of gray whales ever spotted off the coast of Palos Verdes in southern California, to the clusters of whales and dolphins surprising boaters and kayakers while feeding off the Central Coast last year, to the flash mob appearance of a super mega-pod of dolphins off the coast of San Diego last week. I’ve been tracking all these stories, and was recently interviewed in The Christian Science Monitor about the “marine mammal mania” we’re experiencing here in the Golden State. This past weekend I ventured to the coast for a whale watching trip in Morro Bay, and while I didn’t view any dolphin mega pods, the marine mammals certainly did not disappoint. We watched two gray whales for almost an hour, were visited for a few fleeting moments by a harbor porpoise, laughed with the numerous barking sea lions, and enjoyed the almost unbearable cuteness of the sea otters. After the boat ride, I ventured up to San Simeon to catch the tail-end of the elephant seal season and saw two magnificent bulls do battle.